Little League Minors, also known as Coach Pitched or Rookie Ball, is a modified version of baseball designed to introduce young players to hitting a moving ball and is the next step after Little League T-Ball. Rookie Ball players are normally in the 8 – 9 age range. In Little League Minors the Team Coach, or a nominated Parent pitches the ball for the batter to hit. There are no “Strike Outs” in Rookie Ball. If a batter is unable to hit a pitch, they are offered a Batting T to hit from. Rookie Ball also introduces young players to the 9 positions on a Baseball field including, catcher, who at this age is “suited up” in full catchers equipment. Players are rotated in each inning to ensure all members of the team are able to experience playing at all positions. Times are decided by mutual agreement with parents and coach. Rookie Ball teams generally train once per week from 4:30pm. Rookie Ball is an inter-club competition, played within the Brisbane South region. Games are 1hr 15mins and start at 9:15am and finish at 10:30am. It does require travel within the region with teams playing as far east as Sheldon, in Redlands Shire, as far south as Beenleigh, and as far west as Ipswich. Your team manager will assist with the exact location of the playing fields. Little League Minors is a step up in the level of administration required to field a team. 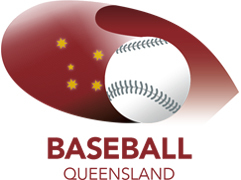 The Brisbane South Baseball Association, Queensland Baseball Inc. and the Australian Baseball Federation require that a Rookie Ball team have an accredited Coach, Scorer and Umpire. Indians Baseball Club would like to encourage parents and volunteers to consider taking on a role to assist a Rookie Ball team. Indians Baseball Club will provide support, educational material and support to any person who is interested in taking on a role.